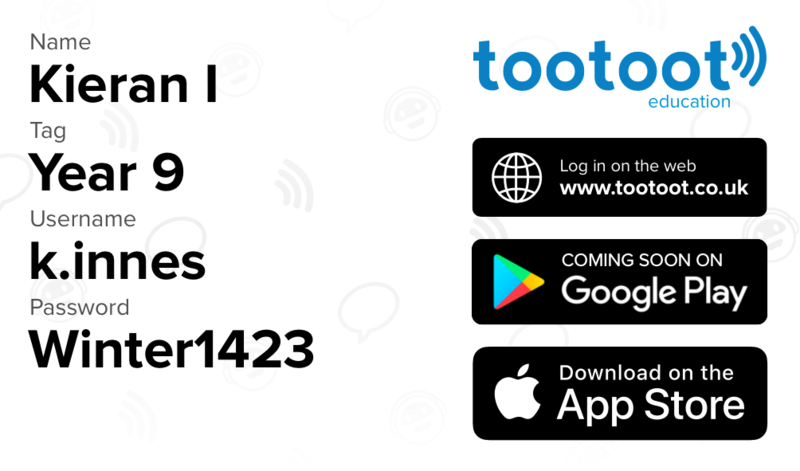 We are always listening to your feedback, and using your suggestions to improve tootoot for schools, staff and pupils. We recently announced a load of new features, including our updated iOS app. 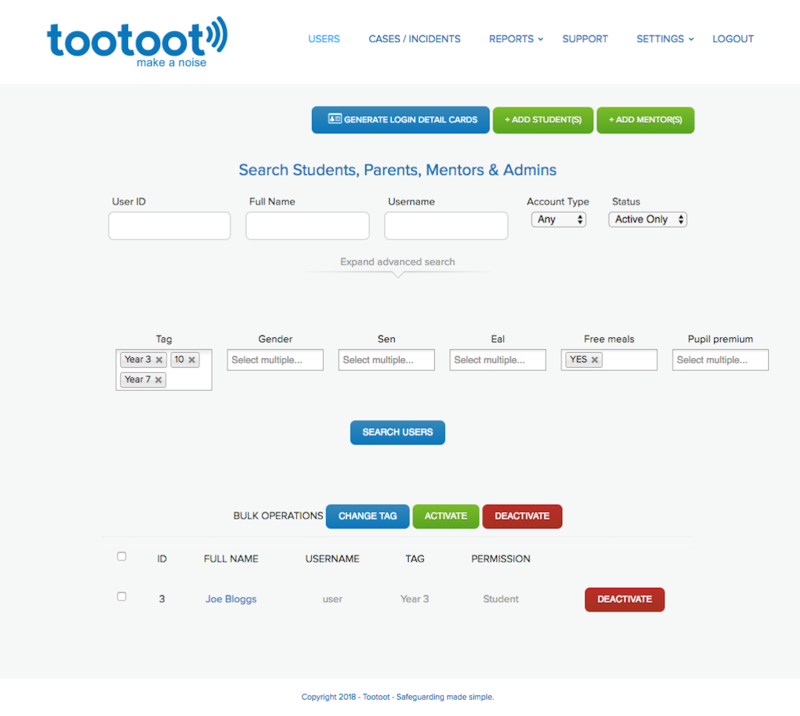 Since then we’ve been getting feedback from as many schools as possible, and building this feedback into updates that make your life easier..
We heard that pupils often forgot their logins, and that distributing logins was a lengthy process for admins. To help make this process easier, you can now upload the spreadsheet of usernames and passwords created during your setup process to a tool within the admin section. This tool creates a downloadable PDF of cards that can be simply printed, cut-out and handed to your pupils during a launch or relaunch. 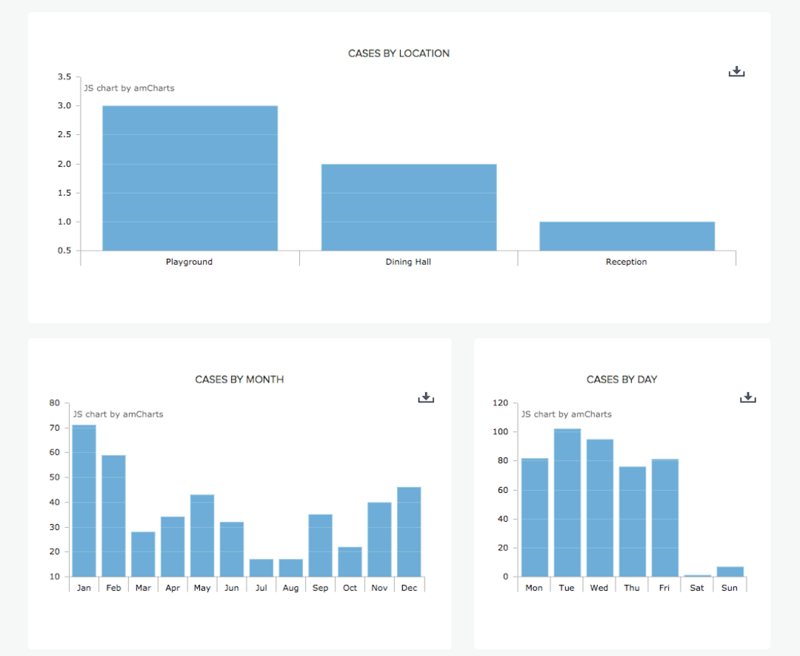 We’ve changed the way graphs in the dashboard work, now they’ll only display the top five categories for cases and incidents; as well as a sixth category for ‘everything else’. Doing this means you can get to your highest priority insights at a glance. 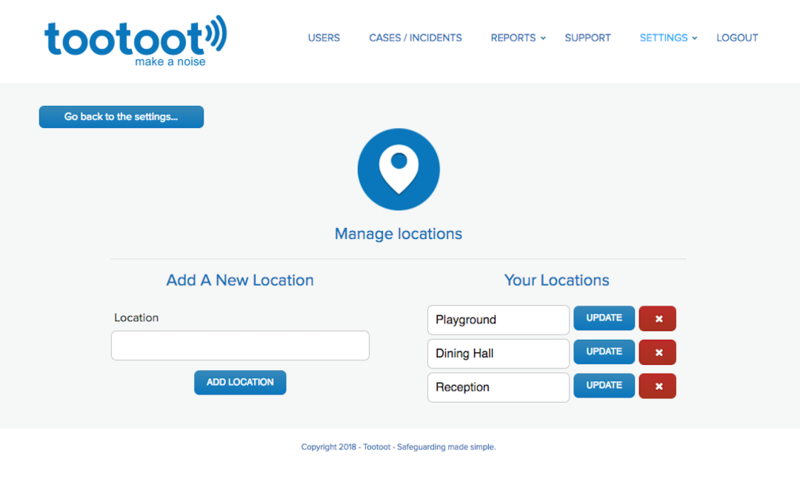 In our last update we introduced locations, so you can tag where a case happened – helping build up a picture of what is happening around your school. We’ve already seen lots of you using this new feature and creating your own locations. To make it easier to identify trends in the data we have now added a locations graph to the dashboard. 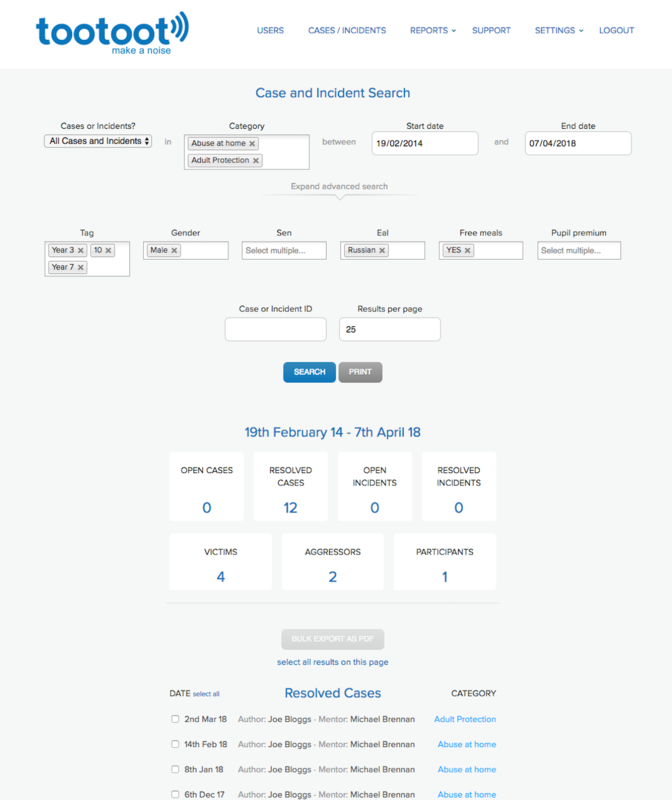 With a more enhanced search, you can now quickly identify pupils and cases based on a number of different criteria. You can now filter cases and students by details such as Gender, Year Group, First Language, or Ethnicity. Admins can now search for users using multiple filters, and more than one option within a filter at a time. For example, let’s say we want to find all pupils that are in Years 3, 7 or 10, we’d tag all of these options to show a list of names. We can then narrow this list down further to see which pupils in Years 3, 7 or 10 receive free school meals. This will allow admins to quickly and easily search for specific pupils or groups of pupils, helping you pinpoint groups that may benefit from early intervention and guidance. Particular pupils may be tagged as aggressors frequently, a certain year group may be frequent participants, or victims. 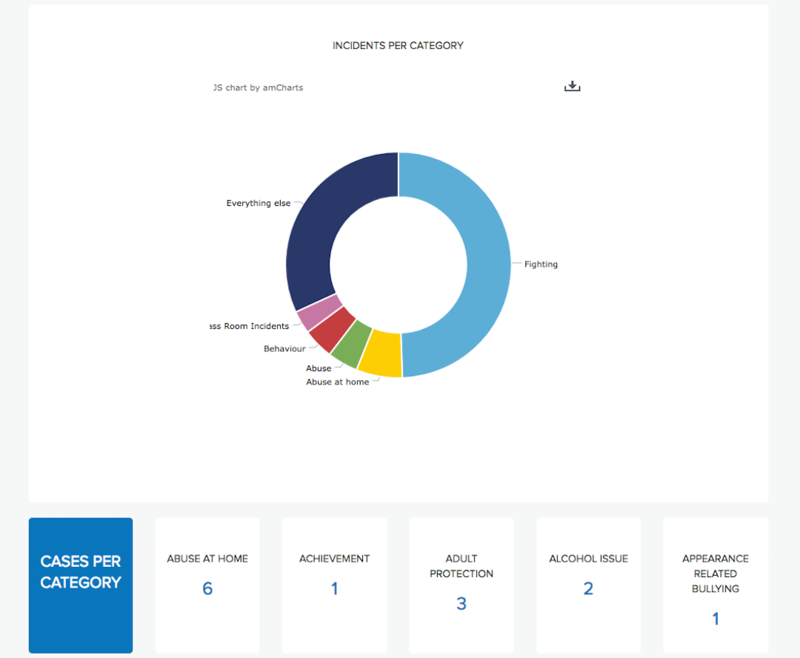 By filtering out different criteria you can pinpoint those who would benefit from extra attention and route out the causes and trends of bullying and behaviour problems in your school. Enhanced search can also be used when searching for cases, the below search will show all cases of abuse at home, or adult protection, involving pupils in Years 3, 7 or 10, who are male, speak Russian as their first language, and receive free school meals. Itching to get your hands on our Android app? It’s in development, but sign up here for early access.